We reckon there were two kinds of winners at the 2018 Emmys. One, the kind that won the awards for their performance in TV shows. Second, who won for their red carpet outfits. For us, there were a handful of lovely ladies from Hollywood and the American TV industry, who wowed us with their looks and deserve Emmys of their own. Biel wore a white strapless gown by Ralph & Russo and looked quite the stunner in it. The snow-white number had a full ball-gown style skirt that features layers and an abstract hemisphere pattern all over. Also, her makeup was flawless. Love! The Stranger Things starlet looked super cute in a chic bow-print dress. The baby pink poofy dress looked lovely on Millie with her strapped ballet pumps, didn't it? The Insecure lead led the fashion movement on the Emmys red carpet and how! With 3,000 crystals embroidered on her Vera Wang jumpsuit-slash-gown, the TV actress looked like a snack in the baby blue number. The 24-year-old, who was nominated for 6 Emmys for her series The Alienist, looked brilliant in green, wearing a beautiful pleated gown by Dior. Don't miss the 175 karats worth of emeralds by Lorraine Schwartz on her! A beauty in black, Paulson rocked an exquisite Oscar De La Renta strapless gown with a full skirt embroidered with velvety feathers. We're in love with this Ralph Lauren halter-neck dress Zazie has on. The bejewelled collar and the rust-to-purple ombre pattern, combined with her quirky hairdo is giving us Khaleesi vibes and how. Tracee gets us every time! 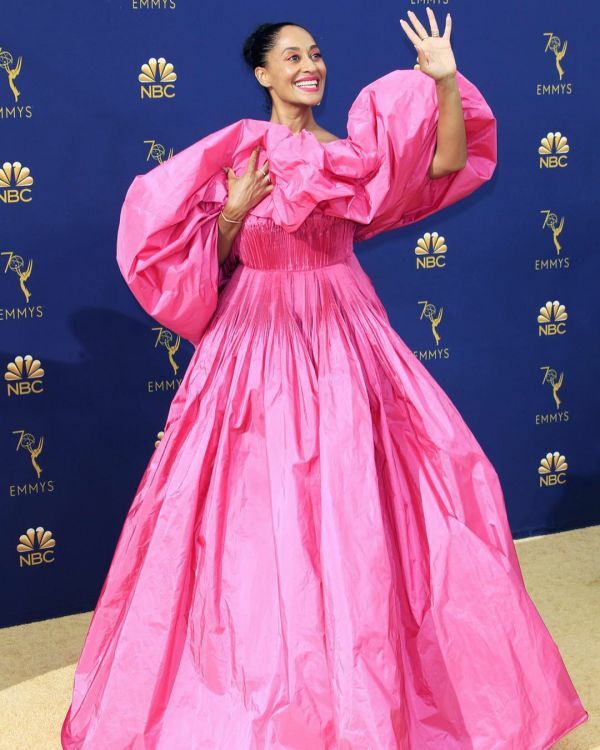 Her poofy fuschia pink off-shoulder dress by Valentino at the Emmys red carpet is fun AND fashionable. 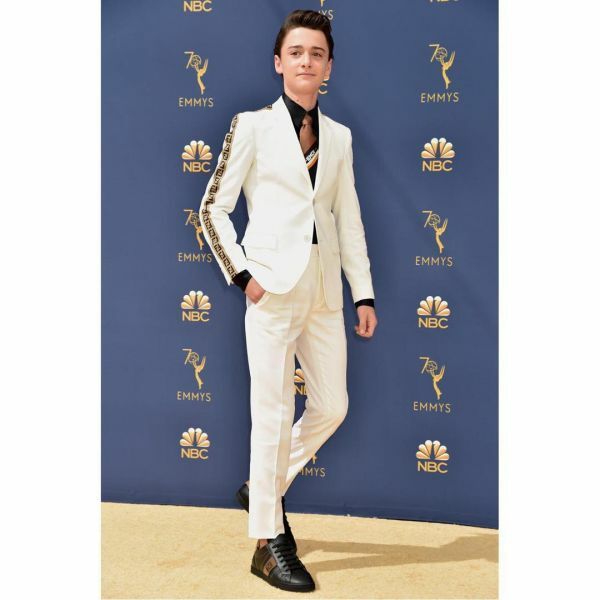 Will in Stranger Things and Millie's BFF IRL, Noah Schnapp, is our autumn dressing inspo and his H2T Fendi outfit is why. Noah makes a strong case for logomania with a Fendi panel down the shoulders and along the arms, plus the logo tie. Way to go, Will! Looking at all these glamorous outfits makes you want to deck up too, doesn't it? If you're as glam a gal as we think you are, you love to dress your gadgets up too! This party worthy phone cover makes sure your gadget looks as good as you on a night out. You don't want to wear that sequinned dress just for a drab phone cover to bring your OOTD down, do you? P.S. 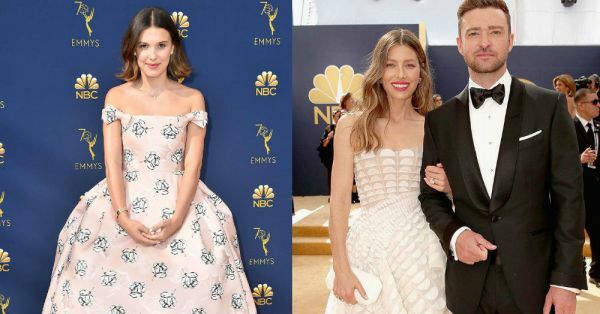 Here are all the best looks from last year's Emmys to help you make comparisons.